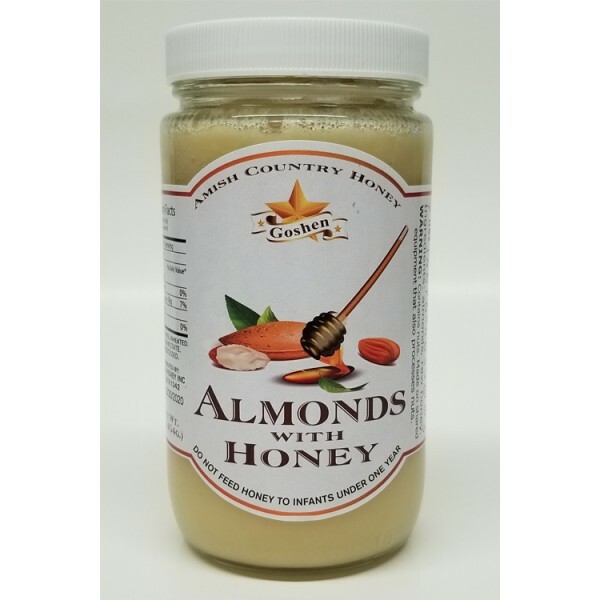 The newly introduced Almonds with honey by Amish Honey is a blend of pure natural honey and Almond. Combining these two brings a unique product that magnifies the effect of Honey and Almond. Both honey and Almond has been found to lower cholesterol levels, and this product is a perfect recipe to be added to your meal. This combination offers an indispensable source of healing properties against bacteria, microbes, inflammation, and pain. It is also rich in nutrients that make it a great sweetener and substitute for sugar in various drinks or dishes. It has been packaged and stored under hygienic conditions with your satisfaction and ease of storage in mind.